The Islanders High School Hockey League is proud to announce that Tony Marco Jr. of RVC / Malverne has received an appoint to the United States Military Academy West Point. Tony received Congresswomen Rice’s nomination to USMA West Point and received the official Appointment from the President and the Superintendent of USMA West Point for Admissions for the graduating class of 2023. Tony is a defenseman for the RVC/Malverne High School team and has been in the league for 6 years. and it is believed that he is the only student in the history of the Malverne School District since the early 1930’s to be appointed to West Point. We wish Tony all the best on this prestigious appointment. At the Town of Oyster Bay annually hosted classic Saturday night, in front of a packed crowd, the Western Nassau All-Stars saw a late goal by Sewanhaka / Valley Stream player Matthew Bomeisi to jump in front of the TOB All-Stars in a closely fought, highly skilled match. The final score was Western Nassau 3 TOB 2. Bellmore/Merrick's Vincent Palagiano added a goal and was named the West's MVP. Farmingdale netminder AJ Frankaitis stopped many tough shots and went the distance for TOB as it's MVP. With a sharp defensive effort lead by the Tournament MVP sophomore goaltender Kieran Byrne, the Marines stifled a tough Roy-Hart/Barker/Medina team to coast to a 3-1 victory to capture the State crown. Byrne rewarded the coaching staff call by turning in a powerful effort on all but one of Roy-Hart's attempts. Late in the game, while Roy-Hart dominated in an effort to tie up the game, Byrne stayed strong and dominant with some key saves. Declan Conway lead the scoring effort with two tallies and assisted on the Luke Judge put-away goal with 1:25 left in the game to set the stage for the victory. 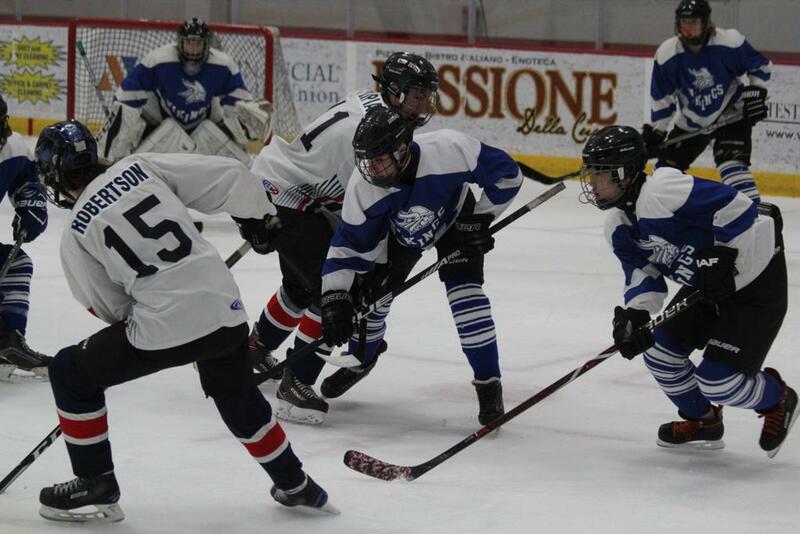 This game closed out a 27 game tournament hosted by Northwell Health Ice Arena and the New York Islanders. We would like to thank everyone associated with the tournament and the 1200+ paid attendees who made this all a success. Oceanside Sophomores Anthony Cinetti, Steven Farsky, and Michael Waltuch are at the top of the scoring leaderboards with 23 points between them in two games after an impressive first day showing at the NYS Varsity Tournament. Heading into Saturday, they are facing an undefeated Orchard Park in the day's opener at 8am. The battle between the two teams has a direct impact on Sunday's seeding. In the small schools' division, 10th grader Luca Leighton of Locust Valley / North Shore continues to impress with his speed in a 4 point outburst against cross-town rival Port Washington who LVNS defeated in their only action today. Long Beach 8th grader Giovanni Panicola showed why he belongs at Varsity with his two-goal effort against cross-county opponent Manhasset in a game that Long Beach cruised to a win. Saturday represents cross-over day in the Small Schools/Mixed Division. The High School Hockey League of Nassau County is proud to announce that we have been renamed to the New York Islanders High School Hockey League. 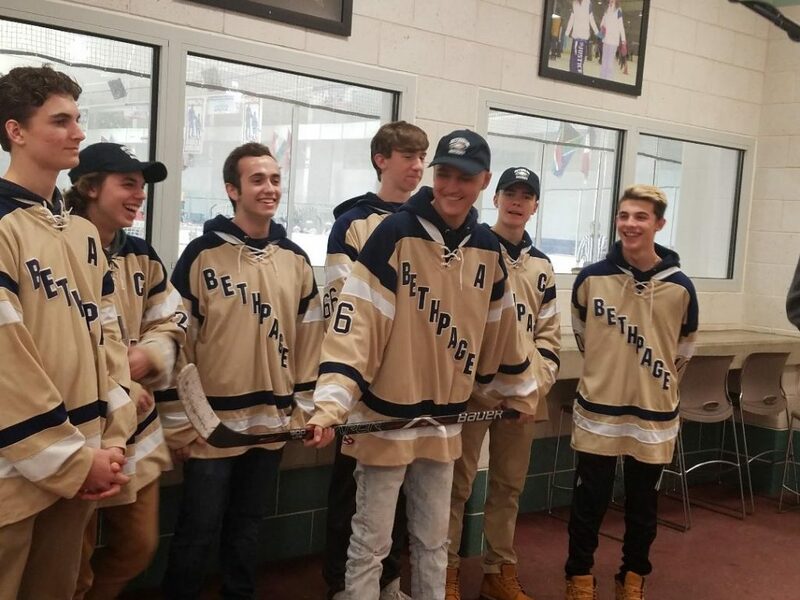 We have become one of the first few High School Leagues to receive official support from an NHL Club as part of their Amateur Hockey initiatives. The New York Islanders are officially sponsoring the 2018-19 NYS High School Tournament at Northwell Health Ice Center in March 2019 and will be involved in our league in many ways in the future. Please stay tuned for more news about this in the months to come. Please visit us at our new website, https://www.islandershighschoolhockey.net where you can get up-to-date schedules, standings, scoring, and news for everything that is happening in the New York Islanders High School Hockey League. Please direct any questions or inquiries to Richard Rosa, rich@richrosa.com, VP NYIHSHL/HSHLNC, and Jocelyne Cummings, jocelyne.cummings@newyorkislanders.com, Manager, Amateur Hockey Development, New York Islanders. Get ahead of the 2018-2019 season and download the Coaches Binder for the required forms and documents you will need for the upcoming season. Just click on the binder above.